‘Sun will rise again tomorrow’, Rohit Sharma had tweeted after being dropped from the Test side. Looks like it has indeed started shining again as Rohit had claimed a couple of months back. The stand-in skipper has led India to Asia Cup 2018 final already. Rohit has had a brilliant series with the bat scoring 111* against Pakistan, 83* against Bangladesh, 52 against the men in green in the group stage and 23 while facing Hong Kong. Rohit has been working hard for this tournament and all eyes were on him to deliver. He didn’t disappoint his fans and did come back strong after a couple of failures in the ODI series against England. Recently, he shared a video on Instagram recorded from his gym session. “Go India! ???????? Let’s workout together and check me out on TikTok! @indiatiktok,” Rohit wrote. 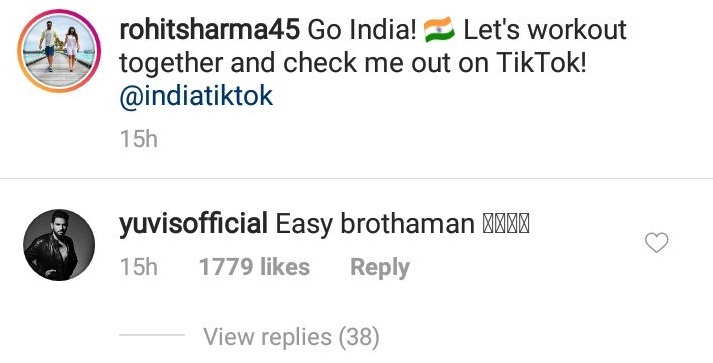 Yuvraj Singh, Rohit’s buddy, responded to the post and asked him to go easy. “Easy brotherman,” he wrote. 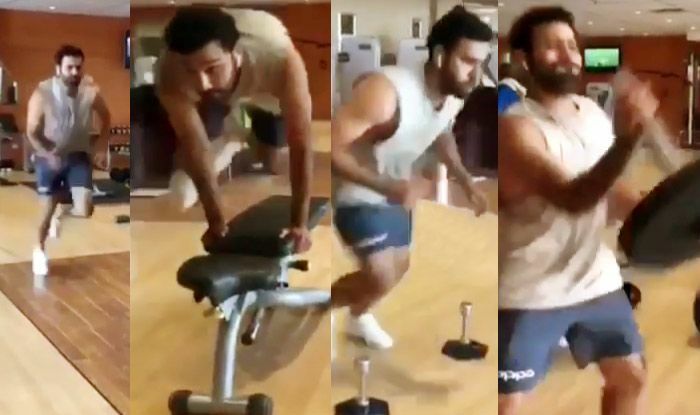 Yuvraj himself had posted a video of him going hard in the gym. He has been seen challenging himself in the recent videos.